Z-door lockers feature a contemporary design that allows for multicolour combinations. 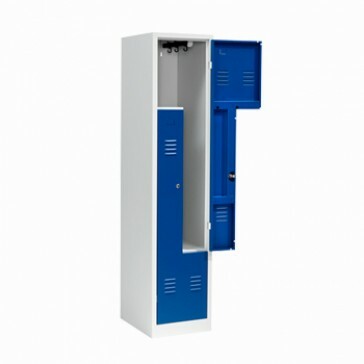 The Australian-made Z-door lockers come with a new perforated door design and 180-degree opening doors. The Z Locker/Step Locker features a 2 door with a split design which allows the hanging of clothing and also storage of personal items , all in the one door. The unit comes in a variety of colours and locks. 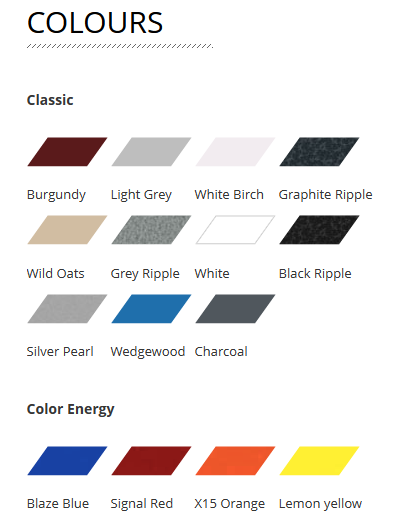 Please enquire with BizOffice if you require different colour patterns on the door/body or lock options. The units come with a lifetime warranty is assured to stand the test of time. !